Single portions for use in tea and Coffee. 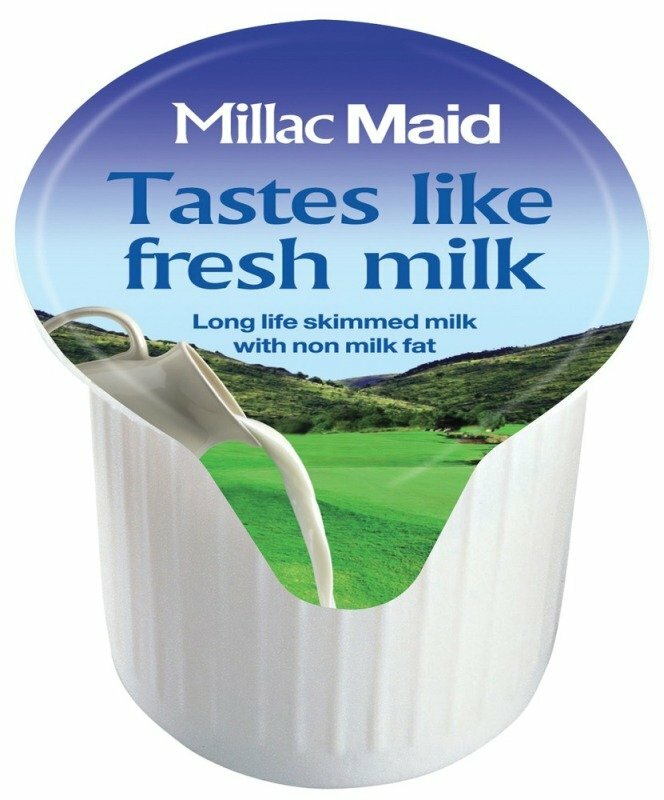 Millac Maid Full-fat Semi-Skimmed Milk. Cafe Maid Luxury Creamer Pots. Long life Coffee Creamer in individual 14ml pots.